It’s not easy to end up with a large, valuable comic book collection. Whether you amassed it over time or you inherited it from someone else, the collection will undoubtedly hold a special place in your heart. Of course you want to sell your comic book collection for the most money possible, but you want to sell it the right way out of respect for the collection and the comics. Hopefully the collection was already stored properly, because this is the easiest way to make sure it retains its value as best as possible. If it wasn’t already stored properly, that’s the first thing you want to do in order to prevent further deterioration of the collection and to convey to potential buyers that they were taken care of as best possible. Now that the collection is organized, it will be easier to catalog every comic. Documenting every comic in the collection is the best way to guarantee the highest selling price because potential buyers will want to know what they’re buying. Otherwise they will look at your collection as a calculated risk or a gamble and offer a lower price to compensate for that perceived risk. 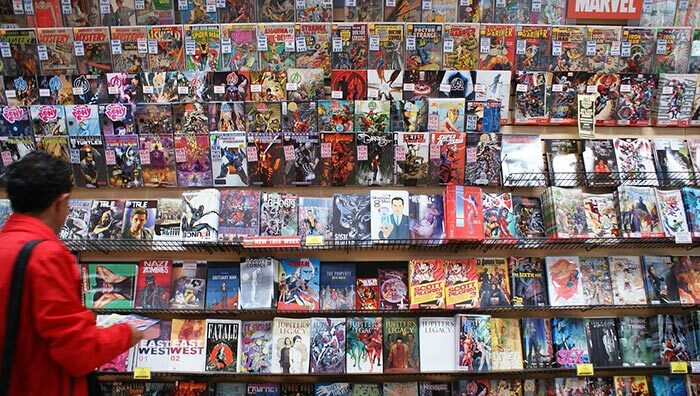 Once everything is organized and cataloged, you need to make a decision on where to sell the comics. This really comes down to balancing a few things– overall selling price, how quickly you want the cash and how easy you want the transaction to be. It’s almost impossible to maximize all three, so something usually has to give. For example, if you sell at your local pawn shop you will not get the best price possible but you will get cash immediately and in a very easy transaction. If you sell on eBay, you may get a good selling price, but it takes a large time investment (especially with large collections) and it could be weeks before you get cash in-hand. We said it was almost impossible to maximize all three. When you sell your large comic estate to us at Sparkle City Comics, we strive to give you top-dollar all-cash offers in extremely quick and easy transactions. That’s why we are the #1 buyer of comic books, spending millions each year to buy large collections. Ready to give us a call and learn more about selling your comic estate to us? Give us a call at 800-743-9205 or fill out our seller inquiry form and someone will get you started!